Bye Bye Under Eye Concealing Pot™ is rated 3.8 out of 5 by 80. Say “bye bye” to the look of dark circles and anything you want to hide—and hello to the appearance of radiant, wide-awake eyes and your most beautiful skin with one simple swipe! Developed with plastic surgeons, Bye Bye Under Eye Concealing Pot™ starts its life as a skin-smoothing, line-minimizing cream and is infused with the same award-winning full-coverage pigments as your best-selling Bye Bye Under Eye™ Anti-Aging Concealer to cover everything without creasing or cracking. With anti-aging hydrolyzed collagen, peptides, hyaluronic acid, antioxidants, caffeine and green coffee extract, it’s truly your skin-loving essential for super smooth, super creamy and super weightless full-coverage that lasts! Anti-aging hydrolyzed collagen, peptides, hyaluronic acid, antioxidants, caffeine and green coffee extract! Apply to clean, moisturized skin. Blend with your favorite IT Cosmetics™ brush for flawless complexion perfection. Can be used wherever you need coverage and correcting, including your under-eye area and targeted imperfections, to instantly cover redness and discoloration. Using your Heavenly Luxe™ Dual Airbrush Concealer Brush #2, blend Bye Bye Under Eye Concealing Pot™ around your eyes, nose and lips to instantly erase the look of imperfections. Set with Bye Bye Pores™ for a shine-free, poreless finish! Rated 5 out of 5 by TinaSDTata from Great product!!!!! I bought this product a month ago because my friend had it. I tried it on and I'm on my third jar! Rated 5 out of 5 by Russo2019 from Great Concealer I order this product for the first time a few weeks ago. I had tried many concealers but couldn't find one that gave me good coverage. This one has worked very well for me and I use it every day. Rated 5 out of 5 by NJ Ann from Great coverage! Love it! I am in Sales so always need to look my best! IT gives me terrific coverage without caking or feeling heavy. I have tried every wrinkle minimizng make up on the market! This is honestly the best out there! It’s the only makeup I will use now. Thank you IT for really getting it I am 55 and this is such a wonderful product line !! Rated 5 out of 5 by HoneyMay from Covers Well I really like the concealer pot. I have light for winter and medium for summer. Great in the summer to cover imperfections and not have to wear full foundation when its hot. It stays on well. Doesn't melt off. I have normal to dry skin. They don't carry this at Sephora and I wish they would!! 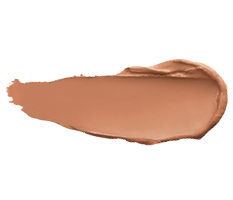 i have the Bye Bye Under Eye Full Coverage anti-Aging Waterproof concealer in medium warm. It's a little too thick and I don't love the way it sits on my skin. What color would I use in the Bye Bye Under Eye Concealing Pot? I purchased a sample-size tube of Bye Bye Under Eye full coverage anti-aging waterproof concealer in Medium (Light-Medium). I cannot find this color in a full size package. What is the equivalent color? Thank you. How should it be applied? A brush?...what kind? 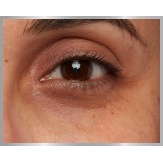 Hi, I wear Light in the CC cream and was wondering what shade I would wear in the Bye Bye Under Eye Concealing Pot.